Grab some bones and get ready for the definitive dominoes experience. Featuring 5 great dominoes games, Real Dominoes is perfect for the gamer in any family. Choose from 10 unique domino backs, set the options to suit your skill level, create profiles for every member of your family - even load your own background graphics. Beautiful graphics and sounds enhance the game play, while detailed instructions bring you up to speed on each game. This is one game that truly lives up to its name. Download free full version game today and start playing dominoes right now! 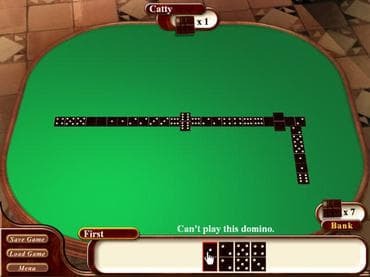 Free Game Features: - Real dominoes games; - Amazing graphics and relaxing soundtrack; - Game statistics; - Free full version game without any limitations. If you have questions about Dominoes game, please contact us using this form.